The number of SMEs in India is now estimated to be at 42.50 million, and accounts for 16% of bank lending. This formal and other informal SME lending mechanisms are the most commonly availed SME financing types. However, there is a much better way to do it – SME exchanges that enable SMEs to raise more and flexible collateral-free funding with lesser risks. But the number of SMEs that have gone public with an IPO is minuscle by comparison. Going through the Securities and Exchange Board of India (SEBI) process for getting your initial public offering aproved on the BSE or NSE is time consuming and laborious. There are easier ways to do it, by joining a stock exchange or market’s trading platform as an unlisted SME, or by joining a Trade Receivables Discounting System (TreDS) where you can do factoring. Specifically, the latter facilitates the financing and invoicing of bills (trade receivables) of MSMEs that are owed to them by big corporate buyers. As per the Listing of Specified Securities on Institutional Trading Platform Regulations, 2013, a small business can now interact with investors and financiers to buy and sell securities in an open and transparent manner, without having to be a public limited company. 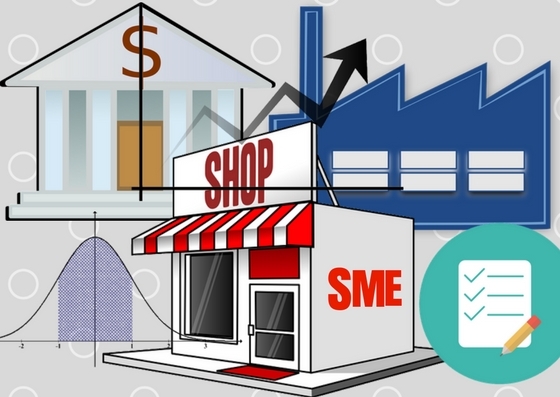 This very detailed and useful primer on ITPs by Nishith Desai explains how an SME can raise funds on the markets, instead of seeking out bank loans or equity funding from private investors. Revenue should not have exceeded Rs. 100 crore in any of the previous years, and the paidup capital must not have exceeded Rs. 25 crores. Should have secured prior funding in the form of one of these – VC or angel investment of at least Rs. 50 lakhs, or an investment of at least Rs. 50 lakhs from a registered merchant banker or qualified institutional banker that is locked in for at least 3 years, or finance from a scheduled bank that was received at least 3 years prior to the application. 1. 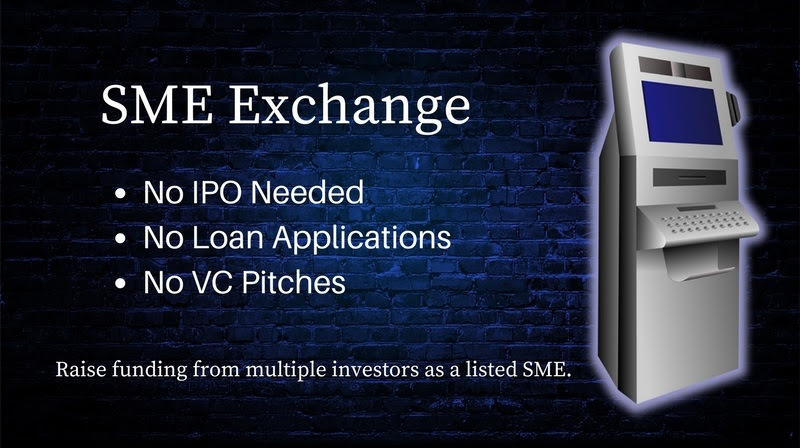 BSE SME – The Bombay Stock Exchange’s SME ITP allows SMEs to be listed on the Exchange without having to take IPO route. The BSE just listed its 210th SME on their BSE SME portal. Read more about BSE ITP’s eligibility and financial criteria on bsesme.com. 2. NSE EMERGE ITP – EMERGE is the SME platform of National Stock Exchange (NSE), the largest stock exchange in the country. 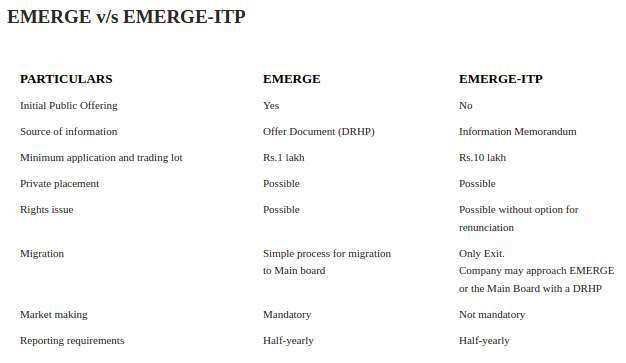 The Institutional Trading Platform of EMERGE (EMERGE ITP) allows startups and SMEs to raise funding without having to go down the IPO route. Read more on the nseindia.com website. As per RBI guidelines (Micro, Small & Medium Enterprises (MSME) Factoring-Trade Receivables Exchange, March 2014), the Trade Receivables Discounting System (TreDS) was set up to facilitate direct participation of MSME sellers, corporate buyers and financiers (banks as well as NBFCs) for uploading, accepting, discounting, trading and settlement of the invoices / bills of MSMEs. 1. M1 Exchange – M1’s Trade Receivables Discounting System “TReDS” is an online exchange with key participants as MSMEs, corporate buyers including PSUs and Govt Departments, and banks / NBFCs. M1 aims to provide MSMEs supply chain related cash flow finance at competitive rates through an open bid process via multiple financiers. 2. Invoicemart – Invoicemart, an Axis Bank division, helps you unlock your working capital and get paid within 48 hours of selling an invoice. Access to multiple financiers in one place ensures a competitive rate of interest, where you get paid for your receivables without taking on any debt on your books, and and without having to come up with additional collateral.